Sometimes LinkiedIn shows me an interesting advertising. 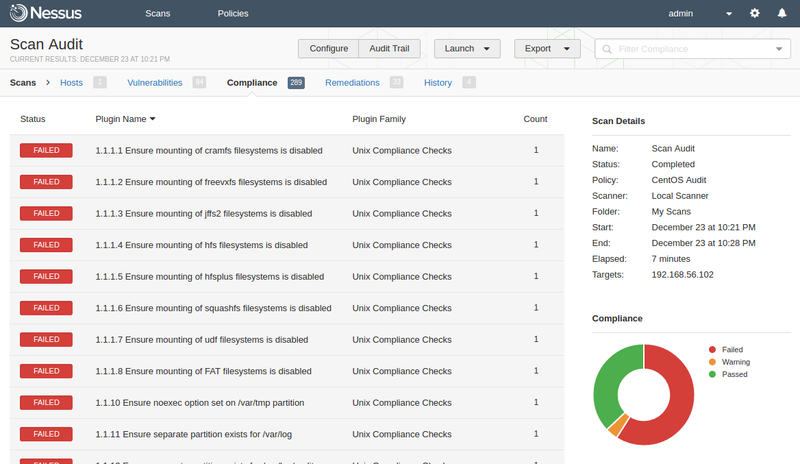 For example, today I watched a recorded demo of SteelCloud ConfigOS. It is a proprietary tool that performs automated DISA STIGs compliance checking for RHEL or Windows and provides automated remediation. Well, as it works automatically, it won’t make custom SELinux configuration for you, for example. In the other hand, this software is for the US military and related organizations, where everything should be highly standardized. This entry was posted in Compliance Management and tagged ConfigOS, DISA, remediation, Saner, SteelCloud, STIG on May 24, 2016 by Alexander Leonov.